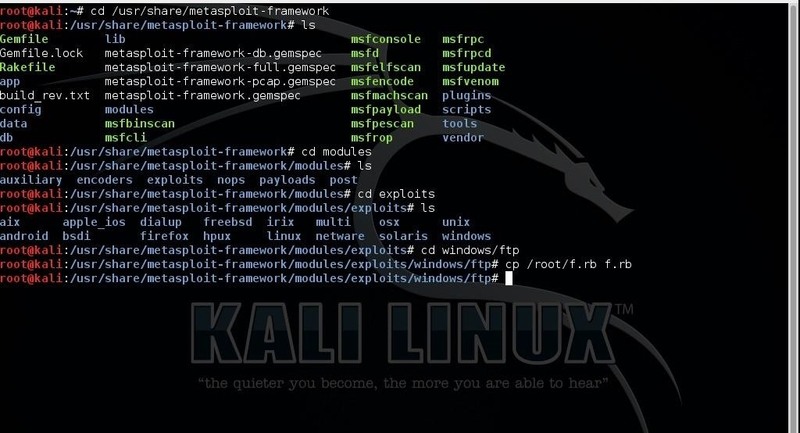 Today I will show you how to make a metasploit exploit really quickly. This tutorial is mainly applied to stack based buffer overflows and seh buffer overflows exploits .There is a simple way for rop exploits too but I will dedicate a special tutorial on this subject. Simply drop mona.py into the 'PyCommands' folder (inside the Immunity Debugger application folder). my other tutorials about this subject to give you an idea about debuggers, fuzzing, reverse engineering etc. Since we already know(we have studied the exploit on exploit-db) that the bytes that will create Buffer Overflow are 1000 we will use a pattern with 1000 characters and we will send It to the FTP server's command port, port 21. After the execution of this script we can see on the Immunity Debugger that EIP is overwritten.This is the simplest scenario on Exploit Development but is not always so unusuall.